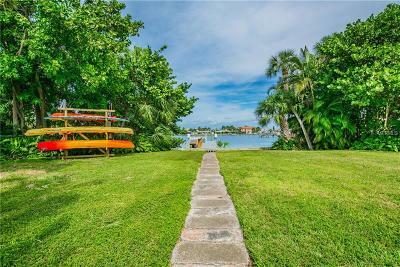 European flare, island privacy of Boca Ciega Isle, Sultry New Orleans, spunky Key West and charming Tuscan valleys inspire this special home: timeless style with modern amenities. With a custom circular driveway, wrought iron gateway, entry courtyard with a fountain, Italian porcelain floor tiles, french doors and views of the calm open water; all are as inviting as you will find. Upstairs, above a bright large living room, is a spacious loft where you can relax in your hammock on your second story lanai. 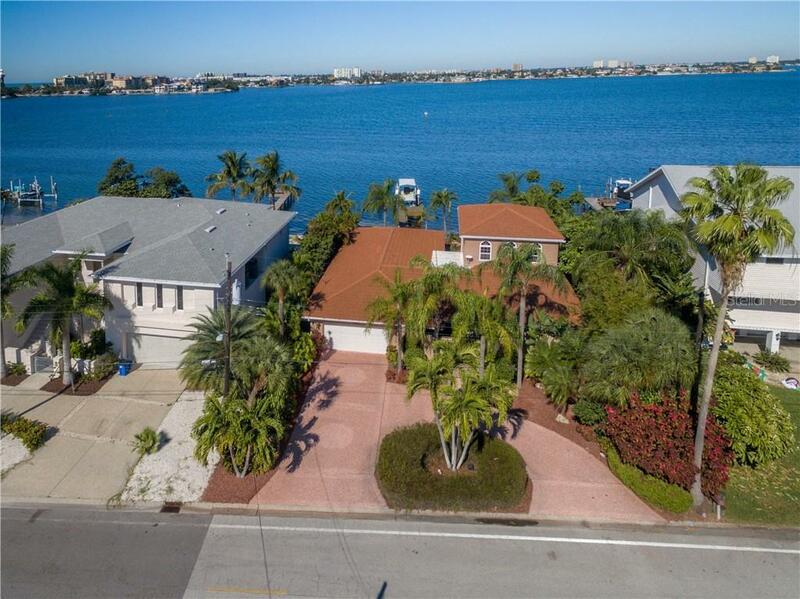 Expansive view of Boca Ciega Bay offers stunning nightly sunsets. Built in 2017, your private dock (7000 lb. boat lift) gives access to Intracoastal Waterway and the Gulf of Mexico. Xeriscaped gardens with jasmine, tropical palms & blooming flowers, coral island and backyard outdoor fountain. The large waterfront main floor master bedroom ensuite and large walk in closet, offers doors to outside. The third bedroom has itâs very own ensuite as well. The 4th bedroom is currently an office. The kitchen has beautiful woodwork cabinets, wine refrigerator, stainless appliances, and tumbled marble backsplash offering the perfect central gathering area. This home is inspired by the most romantic destinations, ideal for entertaining or escaping from the world with complete privacy on an oversized lot with many courtyards and garden areas from which to enjoy this spectacular view. The white sugar sands of St. Pete Beach are a few blocks away, 15 min. to downtown St. Petersburg and 30 min. from the Tampa airport. Additional Water Information: Easy boat trip south to Pass-a-Grille Channel and out to the Gulf of Mexico!